How you say your name speaks volumes about you! A couple of weeks ago, we met a parent at an exhibition who asked this simple question: "What does the personalised book do for my child?" So, we decided to dig a bit deeper into why personalisation is so attractive and whether it really does have a positive effect on the child. Something personalized, is something that is specially created for an individual. Since, our names define our identity and individuality, we know that something is ‘mine’ or ‘made for me’ when it is marked by our name. This is why Bookyboo’s signature Adventure book is built using the letters of the child’s name. Every time we see a parent create a preview for their child, we see their smiles of wonder. The kids jump with joy at being the star, the hero of the story. As the book goes onto reveal a brave, kind and confident little one, the children truly believe they are all of this – imbibing important life values. There’s something magical in the moment – an experience that makes the parents proud and the kids ecstatic. We all dream. And in our dreams each one of us is a hero – extra ordinary individuals – deserving of special recognition. Maybe that’s is why we tend to develop a deeper emotional connect with things that have our names written on them. Successful adults buy initialed shirts and pens, while kids love to mark their things with their names. Seeing one’s own name brings about a sense of self-esteem and pride in one's own self. How a person says their own name speaks a volume about his or her confidence. For a child, a personalized story in which he is the hero, can really help the child feel good about his own self and leave behind a sense of confidence. 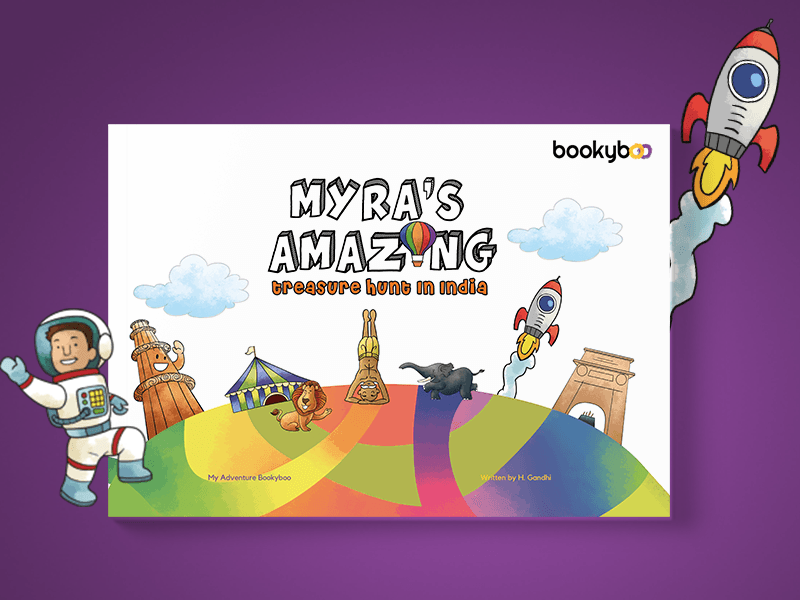 How to get the most of your child’s personalised storybook? It’s easy to make story time a magical experience, which will become a childhood memory that stays: Step 1: Switch off all the screens – no phones and tables, no laptops, and no TV. You don’t want any distractions. Step 2: Find a cozy spot for you and your little one. Make sure both of you are absolutely comfortable and can see the book clearly. Step 3: Read aloud, making lots of funny sounds! Step 4: Listen to your little one’s side stories, encourage the imagination and spend time on each illustration. Step 5: Repeat every day! We have seen that bliss on a child's face on reading his or her own personalised story book - the joy of being a hero and helping others. We would love to hear about the Bookyboo experience with your kids, so do share! Kids activities during school holiday: Stay away from electronics!